Youth Week is an annual celebration of young people, organised by young people for young people, in local communities across Australia. 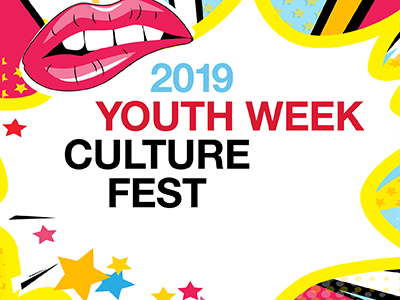 Check this page for updates on Youth Week activities in the Randwick City Council area. Culturefest is back at Maroubra Beach! Join us for live music & DJs, rock climbing, bike n blend, pizza, photo booth, challenges, games and giveaways! 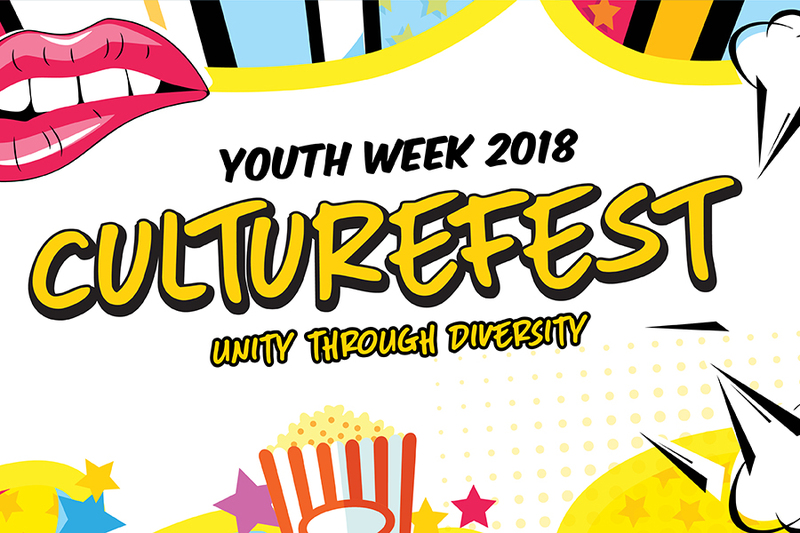 In 2018 Youth Week activities were: Culturefest on Sunday 22 April and Pitch to the Mayor on Monday 30 April! The weather was perfect for a chill-out afternoon at the beach. Charlotte Dunn drew the first crowd with her beautiful voice, followed by the beautiful Saraswati Bali Dancers. Planet smashed it with their awesome inner city sound, whilst Vuli mellowed the afternoon with his Afro-American beats. Pizza and popcorn were aplenty with smoothies being blended non-stop. Lolly-pong, water pistols and a basketball comp kept some of the crowd busy, a record number of older youths took sexual health surveys whilst others chilled in the deckchairs just enjoying the afternoon! We received your ideas of what a sustainable and inclusive future looks like online. All ideas read by the Mayor and questions and ideas were discussed in the Council Chamber on Monday 30 April 2018 with the Mayor and Councillors. 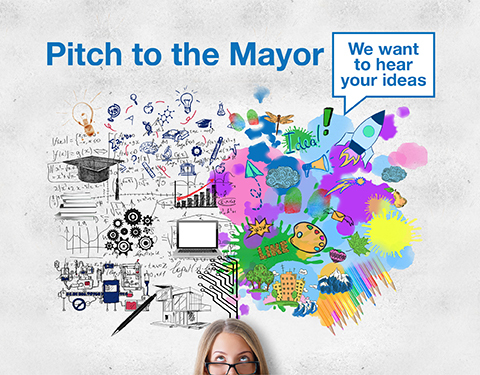 Sustainability, basketball, nippers and plastics were the hottest topic of discussion at the Pitch to the Mayor event. Young people aged 6 to 26 shared their ideas with the Mayor and Councillors in the Council Chamber. Mayor Shurey was impressed by the passion and dedication to such important ideas and potential solutions communicated by Randwick City youth both online and in person. The 2017 theme was: 'Get involved! Be Heard! Make a Difference! 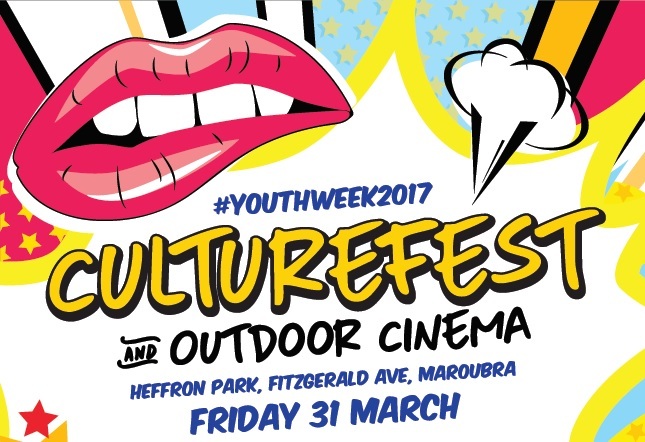 Randwick City Council hosted Culturefest and an Outdoor Cinema at Heffron Park, Maroubra. Live music, youth volunteer expo, muy thai, yoga and makeup workshops, followed by pizza, bbq and popcorn for an outdoor screening of Zoolander. Despite the change in weather just before the movie, members of the community - young and old enjoyed the experience. The Youth Advisory Committee planned a busy week of events for Youth Week 2016. Culturefest kicked off the week at Coogee Beach, followed by After School, What's Next? a careers event and a Skate Clinic. BANDSLAM 2014 winners Flick the Bean initiated the idea for CultureFEST and worked together with the Youth Advisory Committee, supporting Randwick Council to showcase the City's local young talented artists and musicians. Streamed live by Bondi Beach Radio, CultureFEST was a day of music, live art, BBQ, beach volleyball, clothing stalls, face painting, games, demonstrations - all from local artists, services and suppliers.